NC State: Please Don’t Destroy the Bookstore! In advance of Talley Student Center renovations at NC State, a plan is underway to move the Bookstore to the ground level of Harrelson Hall. It is expected that by the middle part of this year, the current Bookstore (above) will be torn down. 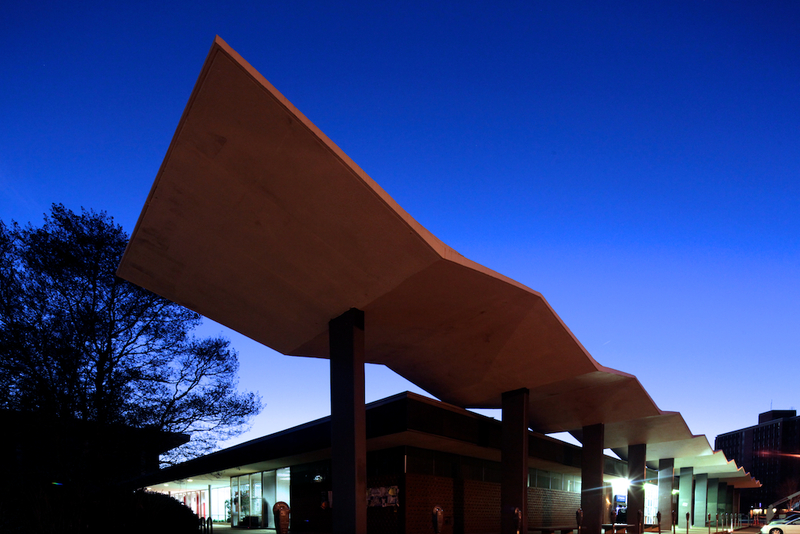 If demolished, it will be one of the most significant architectural losses the city of Raleigh has experienced in many years. For the next three months, the Gregg Museum on NC State’s campus will host the Southern Roots of Mid-Century Modern exhibit. 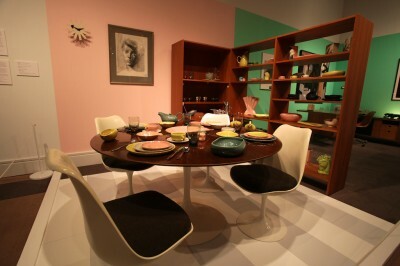 Featuring examples of modern design in furniture, art, architecture, and clothing, visiting the exhibit is a bit like stepping back in time a few decades. A Lighting Sighting on Hillsborough Street! Goodnight Raleigh has received reports about some colorful activity observed on Hillsborough St. last night. 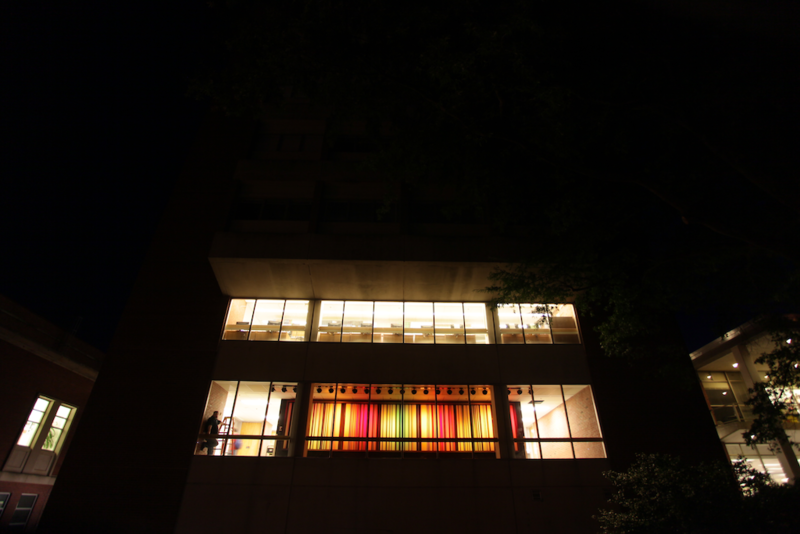 “I saw hundreds — make that, thousands — of colors emanating from the D.H. Hill Library book tower. They were moving back and forth, to and fro, mixing and blending — it was quite a sight!” one passerby told us. No, our source was not experiencing an encounter of the third kind, nor an ‘encounter’ of any other kind. What he witnessed was the first testing of the lighting sequencing of the famed Joe Cox Color Wall.